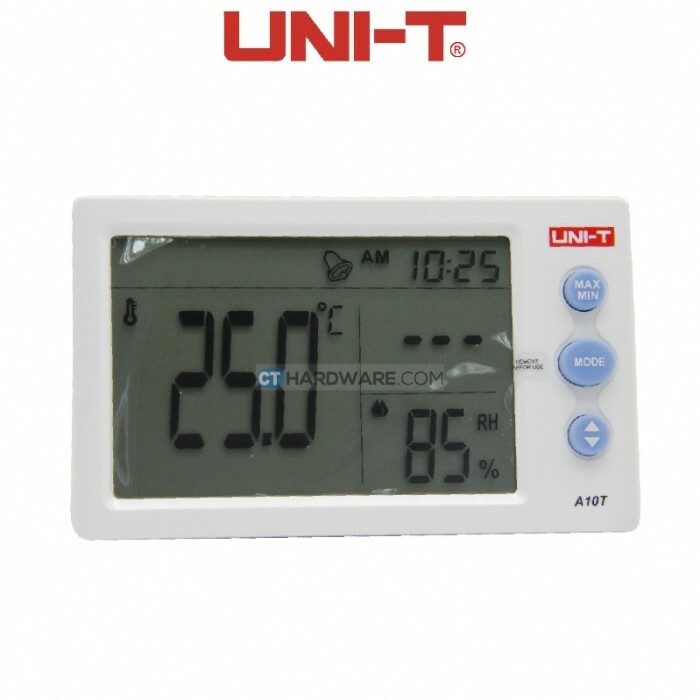 A10T measures real-time temperature and humidity and displays readings on a large screen. It can be used in both indoor and outdoor conditions. It has alarm clock and 12/24 time modes, and displays comfort rating based on the combination of temperature and humidity.